Beautiful downtown Nanaimo from the waterfront. 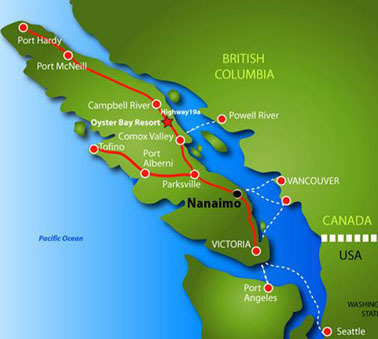 The most interesting Canadian political event this week is almost certainly the BC provincial byelection in Nanaimo on Vancouver Island, Wednesday, January 30, 2019. John Horgan’s current BC NDP government in Victoria remains in office with the help of three Green party Members of the Legislative Assembly (MLAs). And the NDP/Greens together are just very slightly ahead of the opposition BC Liberals. 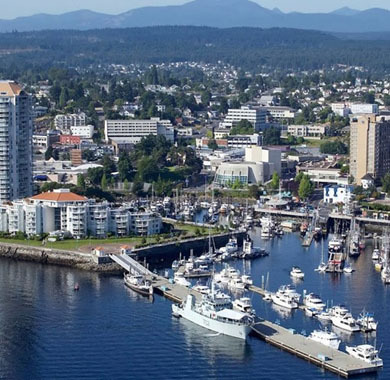 Nanaimo in its regional setting. The byelection was finally called early this month for January 30, 2019. The main candidates are in fact Sheila Malcolmson for the NDP, Tony Harris, for the Liberals, and Michele Ney for the Greens. 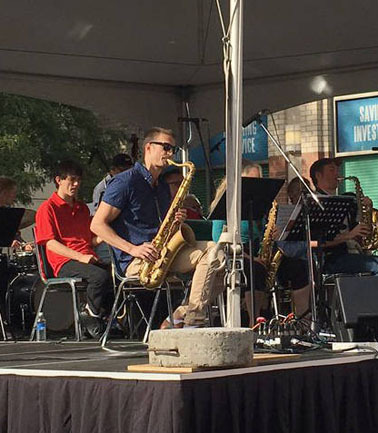 The NMA Big Band kicks things off at Diana Krall Plaza as the Nanaimo International Jazz Festival gets underway, September 15, 2017. (JOSEF JACOBSON/Nanaimo News Bulletin). 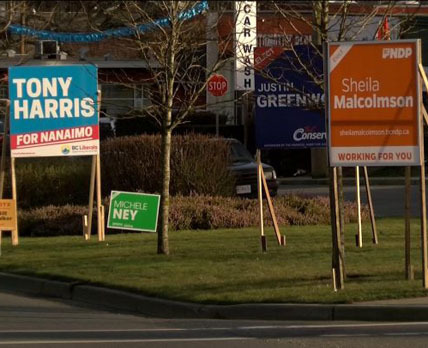 Nanaimo provincial byelection signs, January 2019. But if Tony Harris does win for the BC Liberals the potentially wild and crazy Canadian political year of 2019 (with Alberta provincial and Canadian federal elections also looming ahead) could be off to an even more intriguing start than usual. The best advice of course remains stay tuned! The deciding moment in The Case of the Nanaimo Byelection is now only two days away. UPDATE JAN 31, 2 AM ET/JAN 30 11 PM PT : Despite the latest poll above, with most of the vote now counted Sheila Malcolmson has about 49% for the NDP and Tony Harris only 41% for the Liberals. As one Nanaimo resident has explained : “A lot of people didn’t want a change in government” in Victoria, when push came to shove. And that crystallizing feeling in the end may have been the last-minute movement (or “pattern”) that the most recent Mainstreet poll couldn’t capture. Congrats to Ms Malcolmson (and Mr Horgan) in any case. The NDP/Green show continues on Canada’s Pacific Coast!